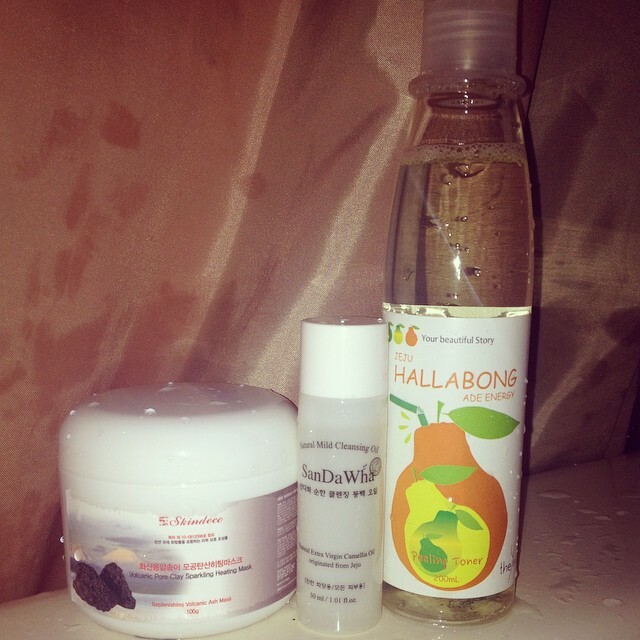 This entry was tagged beauty products, hand cream, korean beauty, masks, memebox, oil cleanser, reviews, toner. Bookmark the permalink. Great review, you’ve changed my mind and I can’t wait until I get my box now. Thanks! I’m glad you’re now looking forward to your box, you should be! It’s nice to have the excitement & anticipation! Thanks for reading and leaving a comment, I appreciate the support and I love to hear other people’s perspective! Definitely, I just applied the sleeping mask! Easily enough for two uses! I like the smell … not so much the texture. Hope my skin is happy in the morning! Thank you for commenting, I love to hear other’s feedback! I find this happens all the time – boxes that don’t look too exciting at first glance will often turn out to contain something you fall in love with. Glad you enjoyed this one! I’m finding this to be true more often, Joanne. You’re right. It is just hard to not have preconceived ideas about the box when you see spoilers so early on. And, I am horrible for that. I seek out the spoilers! I will try to be less judgmental in the future! Thanks for stopping by to read & commenting. I really appreciate it! All the products in the box seem do good. I can never use heating masks though coz they always make me break out. Well, thank you for reading & commenting! I appreciate it! It is too bad that heating masks break you out! This one is particularly odd, and for that reason alone – I liked it! However, you’ll probably be able to swap or sell that mask really easily! Yay! I loved this box as well. 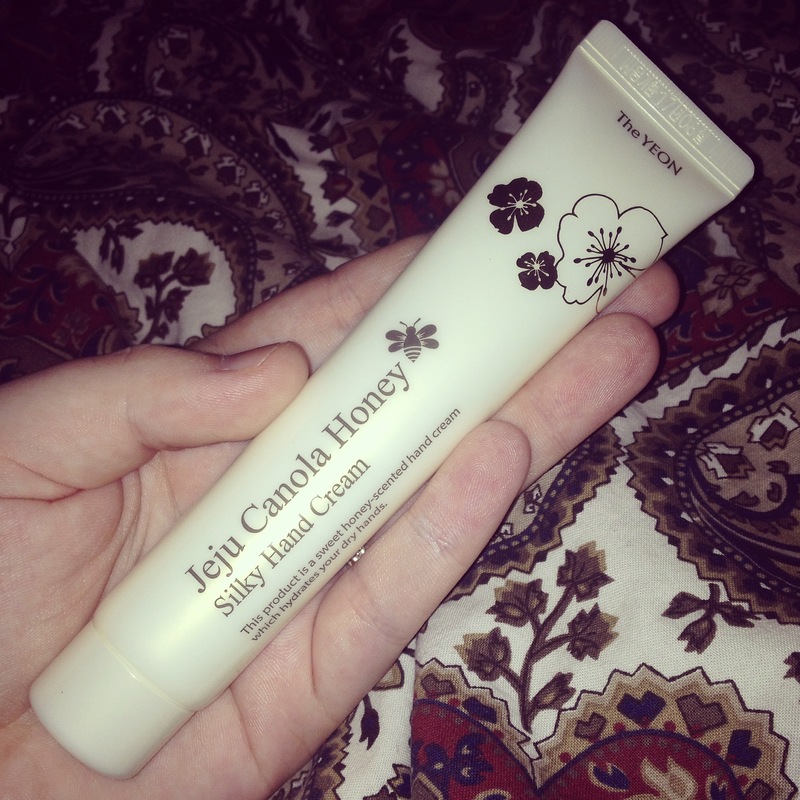 The hand cream smells so nice, a very mild honey floral scent almost like honeysuckle and leaves my hands ssoooo soft. I’m saving it for when the temperatures drop =p. And the hallobang isn’t overly citrusy and and very light. I don’t notice anything peeling off my skin, but do notice that my dry skin isn’t flaking so I think it’s working! It’s been a week and I already forgot about the mask! Thanks for reminder! I can’t wait to try it tonight! Also, there’s a ton of stuff in the spoon… It lasted me 3 nights. I just keep it in a container so stuff doesn’t get on it since it’s wide open. The hand cream does smell quite nice, you’re so right! I hope you enjoy the mask in all its oddity! It was great fun! Thank you so much for the wonderful comment! I hope you enjoy your box! I love the way you write! I really liked this box, but I do wish they would include more then one of these one time use items, I refuse to count them as full size! Now I want to run and try the mask, gosh the problem with having to much products are that you just want to use everything all at once. Well, thank you for the compliment! I’m like you, I HATE when they only include one sheet mask for example! How can you tell if you like something from one mask??? They should give you three in a box, like they did for anti-aging 3 (they sent three “when” masks) and I loved those! I just stumbled across your blog I also got this Memebox and just now tried the mask. I guess I’ve never tried a heating mask, but it’s like burning hot, is that normal? Thanks! I guess I haven’t tried a heating mask before and it was not only hot but burned and when I rinsed off with warm water made it worse. lol I got smart and rinsed with cool water and was fine. I didn’t have any redness or irritation after I rinsed it off. I can’t imagine it not heating on someone. neither could I, but its true! Yeah the secret is to keep it on as long as you can stand, and rinse with cool water. Warm water? Nightmare! But Im like you, it “burned” or stung quite a bit so I was surprised after washing it away my skin hadn’t blown up. Quite amazing!